to encourage the participation of all Democrats, as well as all those who share our Democratic perspective, in the political process. Virginia Democrats are dedicated to advancing our shared values of job creation, justice and equality of opportunity for every family. This means we will put our effort into ratifying the Equal Rights Amendment in the State of Virginia at last. We believe that the middle class is the cultural and economic heart of our Commonwealth and that government should provide opportunities for every family to realize the American dream. We believe a healthy economy requires sustained long-term investments in education, job training, public safety and other institutions that give every person a fair shot at building a better life. We believe in efficient, effective government that puts results ahead of political dogma. Creating jobs means attracting new businesses to Virginia, but it also means investing in small businesses that are already here. It is our duty to provide a quality public education for every Virginia student that truly prepares him or her to compete and build the economy of the future. A safe and effective transportation infrastructure is essential to a thriving economy and a high quality of life. We support developing a sustainable and long-term approach to solving Virginia’s transportation crisis, that does not rob other key priorities of government. A clean environment and abundant natural resources are the common inheritance of man and a key economic advantage, and as such are to be protected from overuse, abuse or contamination. We oppose efforts to cut institutions such as education, social services and public safety, that create opportunity and help struggling families stay afloat during hard times. 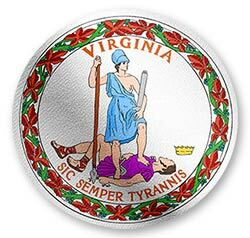 Flipping the Virginia House of Delegates and Senate is the top priority for Virginia Democrats in November 2019. We will work to defeat Republican Del. Mike Webert and Senator Mark Obenshain. Supporting Governor Ralph Northam and his cabinet in their efforts to make investments that create jobs and offer opportunity to middle class families. Support our Democratic nominees in the Virginia House of Delegates 18th and Senate 26th Districts this November. Empower our grassroots supporters to win elections in their own areas through superior organization and mobilization efforts. Get our message to every corner of the County through traditional earned and paid media, as well as new and social media programs that empower supporters to get the Democratic message out to their own communities. Collect and share best practices from Democratic organizations across the state and promote continued innovation in everything we do. Cooperate with like-minded organizations to increase our impact and advance our cause of electing Democrats at every level of government.